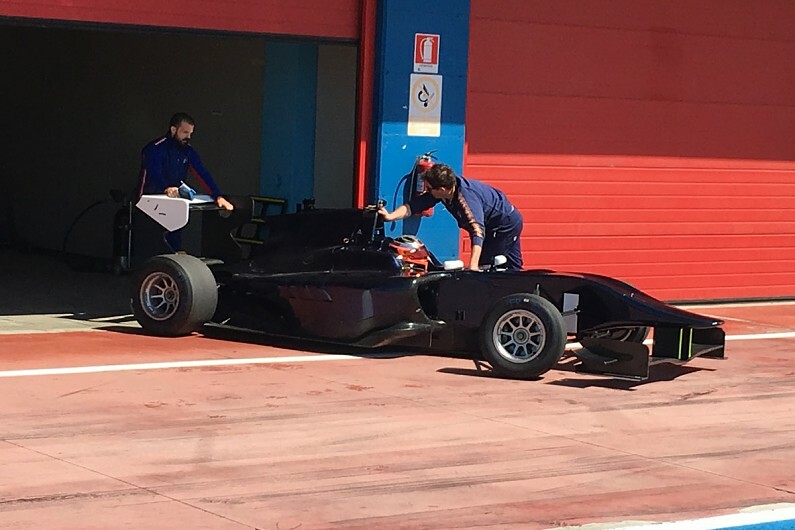 Kubica on the comeback trail?.. 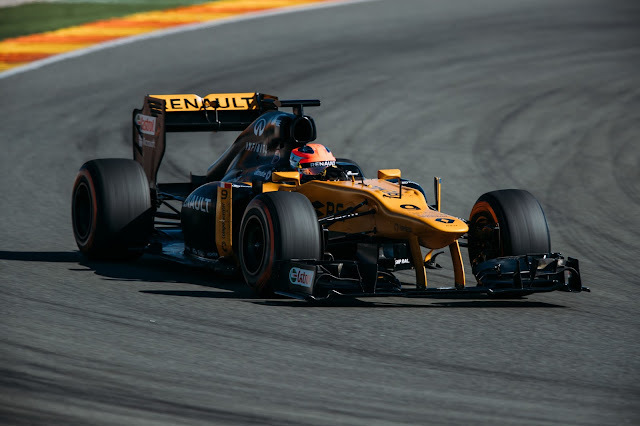 Robert Kubica, an F1 champion in waiting, or at least he was until that fateful rally crash that injured his arm and prevented him from piloting a single seater, well, until recently anyway. The Polish driver has an army of fans, likely due to the plucky underdog persona that he carried around for several years - although that would likely have been cast aside had he worn the scarlet overalls aboard a prancing horse as has been suggested, partnering his long time friend Fernando Alonso. Robert was meant for greater things in an F1 sense and although he's driven a myriad of other machines, including rally GT and LMP1 cars he still felt like he had unfinished business with single-seaters, especially as the doctors essentially told him it would never happen. Mobility of the arm within the confines of the cockpit were isolated as the main reaseon, but the Pole became steadfast in his quest to slay the dragon and once again climb aboard the machines that have dominated his racing life. Just a month after his GP3 foray he stepped into a Formula-E car for the first time, at another private test in Donnington. It's unclear how that test went or how many laps were completed but it's fair to say that he garnered interest from several teams within the sport - especially as numerous teams need a substitute driver to compete at the Brooklyn E-Prix due to their drivers having other commitments. Of course, Bob’s alignment with Renault does put him in the box seat for Buemi’s seat but by all accounts he's passed up the opportunity as he continues to chase his dream of returning to F1. He completed 115 laps during the private test, yes, you read that correctly 115! and these were not slow laps, this was a race weekends work in a single session, as he completed qualifying runs, practice starts and a race simulation. The test put Bob back in the mind of many, and given the fact he was able to turn so many laps in what was considered to be a competitive test scenario it's of no surprise that he's now being linked with numerous teams and situations. In fact Sky Sports (UK) broadcast a Skype interview they conducted with him in the run up to the Canadian GP. Then, two nights ago he appeared on Polish television, providing a 40 minute interview to Eleven Sports - the national F1 broadcaster. Friend of the site F1Talks has created a transcript of the interview over on his site (here in full: http://www.f1talks.pl/2017/06/15/kubica-i-have-a-plan-in-my-head/), which I urge you to read but here's what was said with some further tweaks from me. "It was a really emotional moment and I felt like a little boy, like starting from zero. On the other hand I’m older and it’s getting harder to get some sleep than it was 15 years ago. Emotions were on high level and sensations stayed with me to this point and will stay a little bit longer. The last few years were full of different type of 'events' on a sporting side. My rally debut was quite emotional but it was related to a new experience and learning process. To test an F1 car after six years was a big thing but I have to say I thought I'd be worse - harder to keep my emotions under control. Being back in F1 car cockpit was like 'going back home', like going back to my daily job. The test it was not a race or race weekend but I was trying to do my own thing and do things the way only I can. One of the best moments of that day were the first laps behind the steering wheel – to feel everything is under control like there was no break [in my career]. It was one of the biggest shocks [for me] behind the wheel and a really positive moment. After six years without racing [in F1] and with my limitations there were a lot of question marks. I’m the type of person that always wants to have everything under control and during the test I was able to get to that point quite quickly. I felt very confident behind the wheel. It wasn’t the same cockpit that I left [in 2011] but many thing there were still similar to what I wanted to use, designed or changed during my last season and it helped. It was a nice 'welcome'. It felt like i was at home, everything looked familiar and I got familiar feelings. I don’t want to go to much into the details but it was like that cockpit was made just for me. Many things stayed like it was [in 2011, making it easier to get along with]." How did you get ready for the test? "To be honest I had to do quite a lot of work to be prepared and my physical form has never been as good as it is now – even in the 'golden times' of my F1 career. My hard work helped a lot. I was ready for everything, although many things were beyond my control until that day. It turned out it wasn’t so scary and it was not as far as it might seem before the test. It’s quite close and being honest I can say that this F1 car was the most conducive to drive from all of the cars that I have driven after my the accident, with my limitations. It’s a nice surprise." Does this mean you're coming back to F1? "It’s not the message. When I have a target I will do everything to reach it. This F1 car test was my target for last 16 months. I did it. As I said there were a lot of question marks. Now I have almost all the answers – positive answers. I don’t know what future will bring, I’m still doing my thing – training hard. Today my bathroom scale showed that my weight is at a record low. It wasn’t that low even in 'golden times' - in 2008 when I was quite slim. I’m in good shape and that is the most important thing but there is also a sacrifice, an enthusiasm for work so we will see what the future will bring. There is a lot of work to do but not as much as it might seem before the tests. From a physical form point of view it's better than I could expect in the best scenarios. If we are talking about my feelings in the car, in the last few years I learned a lot about the human brain and how limitless it is, and first three laps in Valencia looked like I was out of the car only for a month - I felt that from behind the wheel, I saw that in my driving and it was one of the best moments, some of the best news I've gotten in the last few years. You need to work every day. If you think you reached the target it’s a moment when you are going down. I will continue my work and it all depands on my sporting targets and where I will go. Fans’ imagination and expections – people from motorsport and F1 – just woke up after the tests. I can now sleep very calmly because I know I can drive F1 car and I’m able do do it fast and consistently and I don’t feel and big problems coming from my limitations. What will be in the future? Where I will appear? what will be a main target for me? I don’t know, but I’m still working, just like in last 12 months, in full swing and I will try to do it step by step. The most important thing is to use what I was able to build in last few months and calmly wait for another target that I will be able to reach in the future." How do you feel the test went? "I think lap times are not so important. I could use thousands word to describe the test but I think the best summary for a whole test came from the guy who worked with me in 2010 – he was close to me in the team – and was in Valencia that day. He said one sentence describing everything: "The most important thing is you are still F1 driver.” It’s not reality, I’m not on the grid, but to hear that kind of words from the guy who saw many great drivers – also was with me in 2010 – means a lot. It’s a great feeling. From the other side we should stay calm and don’t try to think what will happen. Time will tell. People didn’t give me a lot of chance to be back in F1 car and I did it – I did it in style in my opinion. It’s not about lap times. It was just a matter of time – five or fifty laps – to get there. I wanted to check that I am able to drive a car at the same level as before and I was. I don’t want to say how many laps I needed to be find the pace. That afternoon conditions were difficult. Track temperature was far above 60C so tyre degradation was high. It was one of my first tests with Pirelli tyres (In 2010, Kubica's last season the sport still used Bridgestone tyres) – it was new for me – and long stints, with the car full of fuel wasn’t easy but I was consistent. To learn all the little bits were important." There has been question marks over the test car used, seeing as it wasn't one from the hybrid generation, do you have anything to say about that? "To be honest I don’t think [I will have any problems with new cars]. New cars are faster in the corners but it’s not a big difference compared to 2012 cars. New cars are faster than last year’s cars or cars from the penultimate season when downforce was reduced. Lap times were low but time was gained mostly on the straights and the corners were slow. Now old standards are back. Speeds in the corners are similar to 2008, so after 10 years the situation has changed. Taking the corner 5 or 10 km/h faster, it’s not a problem and I’m quite calm about that. If I will get a chance to test a 'new generation' car I don’t think it will be problem form me. Of course I will have to learn many things, to learn new parts but it’s just a matter of time. If I get a chance I will do the job as well as I can and I will try to learn as much as I can, but it’s beyond my control." "I knew it [the test] would generate a lot of attention. It’s nice how people are talking about me. Looks like I’m not too bad, as some people and some journalists are describing me. Some people still appreciate the work I did in the past when I was racing in F1. There are not many people left in Sauber from my era but in Renault there are still a lot of people that I worked with and I think if they didn’t have good memories this test would not have happened. I don't think it was a coincidence - In the last two years I wasn’t involved in any serious racing program and many people didn’t understand that. I can’t say that my plan was confirmed in every detail. I had difficult moments, when I was almost sure I will be a part of different racing programs but it didn’t materialize. If I have to be honest now I do not regret it. One day in F1 car and a chance to feel again what I was loving and I still love, what is my passion, gave me much more and I would never change it for anything else. So you shouldn’t give up and you should do your thing and believe." Robert, what do you think of the 'current F1' in regard to tyres, DRS and no refueling? "F1 has changed it’s image, not only from cars point of view but also in racing aspect. I wasn’t on the track for last six years and people are saying that was only 2012 car. It’s a fact but the other fact is that those cars weren't that slow either. It’s 2017 now and I think F1 is on the good path. It wasn’t so exclusive from cars point of view. It’s not about how many motorhomes we have and how the hospitality units look in the paddock but to see the smile on drivers’ faces and to give them a chance to race on the limit to fight for every inch. In last the last few seasons it was quite different - I know that from the simulator and that sometimes races were won with laps that were 2 seconds slower than they could be. It was all about tyre degradation and to keep them in a good shape for many laps. It wasn’t a proper fight for thousands of seconds but one of calculation. There is sill a little bit of that but a huge step forward was made and I think it’s a good direction." "The environment is now much better and many drivers like it much more than in previous seasons. The most important thing is drivers are once again in a fight for every thousand of a second and they are working to make the car a bit faster. This is why we see one week one driver has more problems and a week later someone else is struggling. We are again in that place when you need to work to optimize your package. Of course tyres are still playing a big role, almost all the drivers are struggling to put the tyres in the optimal window. Tyres are harder than last year and for the drivers like me and for some of my friends in the paddock this is a positive thing." "I wasn’t a fan of DRS and I didn’t have a chance to race with it. My last test in Valencia in 2011 was a debut of DRS. I will not even call it overtaking, it was just bypassing the slower car. Last season there were a lot of cat and mouse games and even if the driver had a chance to make a move a corner before [DRS zone] during the braking it was better to wait, not to take a risk to destroy the tyres. DRS gives you a chance to minimize the risk or even decrease it to zero and use the higher speed. DRS is still there, zones changed a little bit, new cars are wider, it’s not a problem on most tracks, but as we saw in Monaco it made the drivers lives a little bit complicated. It’s not easy to feel the car’s width and drivers have to get used to it. As I said tyres let them do a bit more and it’s the best change that F1 made this year." "I think [refueling] won’t appear again. My last season with refueling was 2009 and I think it would change racing – put it closer to sprint races with more different strategies. It would make racing more interesting but on the other hand more complicated on the operational side. For some reason refueling was banned and I think F1 won’t go that path again but as I said I hope I’m wrong." Robert, what do you think of the new tracks and the 2017 season? "I only saw the track in Baku on TV, it’s an interesting street circuit so the margin for error is quite small and I like this kind of track - I’m a fan of it so I would like to race there. From a fans perspective you want even more races but from the driver’s point of view there is a limit. It’s not even about the drivers but about the teams. Costs are huge, in the past there were two teams inside the team – one for the testing and there were more mechanics and now there are some limits. Although big teams, not officially, still have more people and kind of two teams. We have to remember that F1 is more than only the top three teams. We have small teams working really hard to be on the grid in Australia. We need to see the whole picture and think about everyone." "It’s an interesting season and we had a signs of this during the tests in Barcelona. Test are not always a good reference point but first part of the season showed that we would have a close racing. In my opinion the main roles will not only be played by Hamilton and Vettel but by 'number 2' drivers – Raikkonen and Bottas. In the second part of the season they will play an important role in this fight." You're still good friends with Fernando so what do you think of the issues he currently faces? "Talking about Fernando’s season it’s not about 'if' but 'when'. I will make it straight: I do not envy him. As I said before I'm looking at it differently from the outside. In every team, sooner or later there are some problems, situations that no one in the team want to be a part of. Conflicts are inevitable. It’s not a good situation for the driver, for McLaren, for Honda and even for F1. I hope that one day they will be able overcome this situation – hope dies last – I wish them all the best. Fernando is the best or one of the best drivers and he showed it even during this season but to be competitive you also need a good package and he’s missing it for several seasons." Who'd you like to race with? "I would like to race with every driver (huge smile) so I don’t have any preferences. It’s hard to say who’s similar driver to me because every driver has his own unique style. Verstappen is phenomenal. Last year he wasn’t irresponsible, he was in the position where you can take some risk. He doesn’t have a car to fight for the tittle so he’s trying to take every opportunity as much as he can. He can do a lot. His win in Barcelona – I’m not emotional guy – but when I put myself in his cockpit and looked at this from F1 perspective I think it’s a great piece of history. When I’m thinking how he made it and about the time he had to do this and what road he went down and how mature driver he is, I have goosebumps. He was a revelation of last year." What did you think of Fernando going to Indy? "I think Fernando had only one target going to Indianapolis and he was quite close enough to reach it. For me it wasn’t a surprise he was fighting for the win in this race. Don’t get me wrong, drivers racing in America… We are talking about one of the best drivers in F1 and motorsport history and that’s the reality. It’s all about the skill and we have to be realists. It’s not easy to go into the 'unknown' but we are talking about one of the most talented drivers and I’m not talking about last 10 or 15 years but about the sports history. It’s quite simple and that’s reality." "I have a plan in my head. I can write many different scenarios but many things happened in my life during last six years and to be honest many things changed also inside of me. I will be working to reach my targets – targets that I’m able to reach. I will try to make it happen. It’s too early to talk about the future, what will happen, I don’t know what will happen. I know only one thing and I’m in full control of this. I will be preparing to reach the highest goals. Three months ago my target was to test an F1 car and I think I prepared really well. What is my new target? It would sound stupid if I would say I have no new targets. I got a huge boost after Valencia and I my self confidence is much higher now, I know how my limitations are influencing my driving and that’s positive aspect. What will the future bring? It’s beyond me. "These days you can not be picky - It’s a joke. I don’t know if it will be F1 or something else. I'm working on several projects, I’m part of some projects that will see the light in the future so we will see." 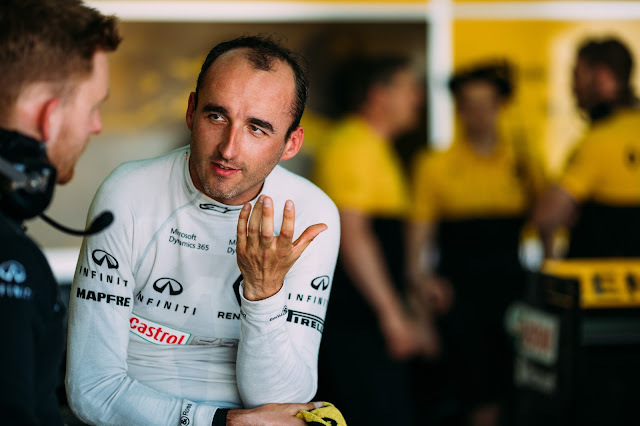 I'll be keeping a keen eye on the developments surrounding the Polish drivers potential re-entry to the sport and understand that he'll pilot a car for Renault at this years Goodwood Festival of Speed. Who know's though, could he take part in the next in-season test too? or could he, as others are suggesting, replace Palmer before the season is out? Especially since we've now past the only real sticking point on the calender in reference to his cockpit mobility: Monaco.